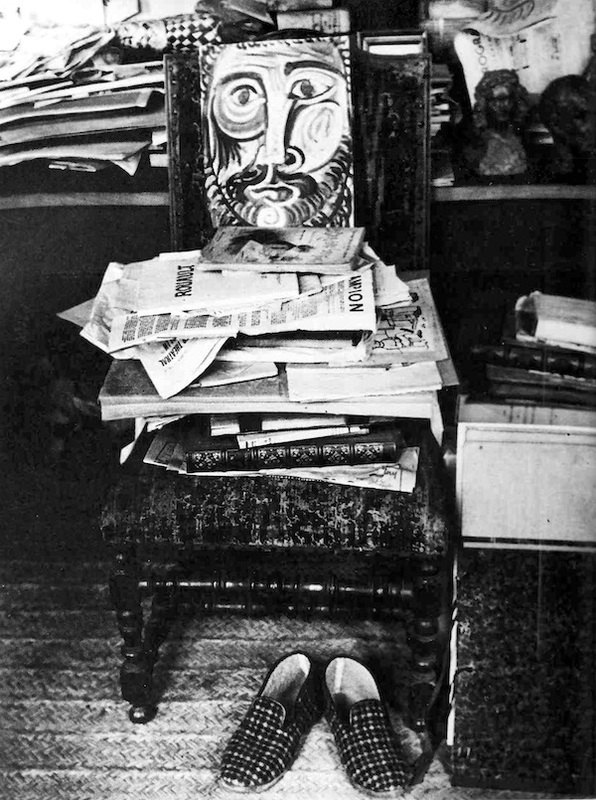 Near the easel, an old armchair is staggering under a pile of papers with a portrait on top, one of the many preparatory portraits for “Man With Sheep”. 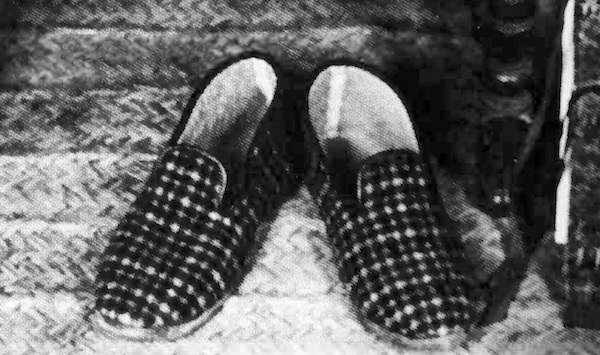 Picasso's slippers are set at the foot of the armchair. The head, armchair, and slippers form a kind of personage, holding in his arms the piles of books and magazines. I move the barely visible slippers slightly, and prepare to take the photo of my funny little man, when Picasso comes in. He glances at what I am doing. It'll be an amusing photo, but it won't be a "document." Do you know why? Because you moved my slippers. I never place them that way. It's your arrangement, not mine. The way an artist arranges the objects around him is as revealing as his artworks. I like your photos precisely because they are truthful. Brassaï (born Gyula Halasz) was a photographer, journalist, and author of photographic monographs and literary criticism, including Letters to My Parents, published by the University of Chicago Press.